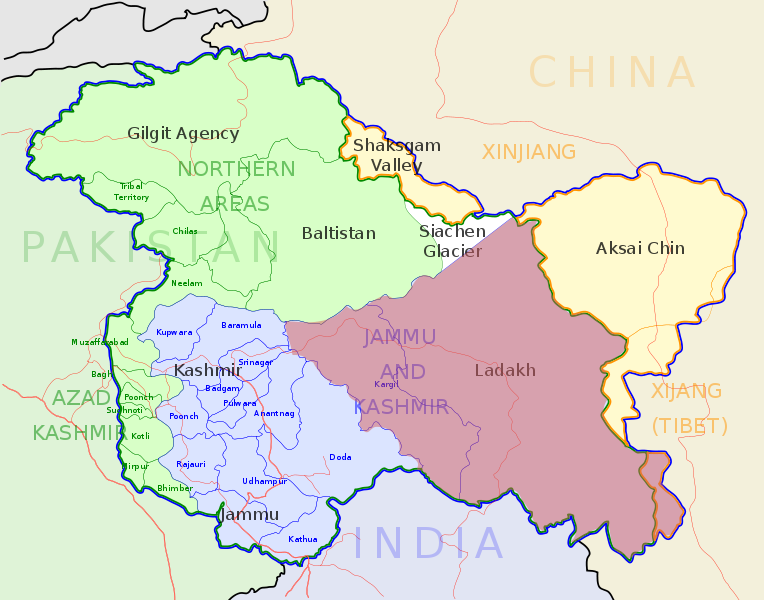 While the Balti and Malana people discussed in the other thread seem to have no Tibetan Y-DNA to speak of, the Ladakhi have loads of it: 24% D1a1-N1, 9% D1c-P99, 18% O3a2c1-M117, 3% N*-M231(xN1c1-Tat, N1c2a-M128, N1c2b-P43) - this is probably N-F2905 - and 1% Q1a1a1-M120. 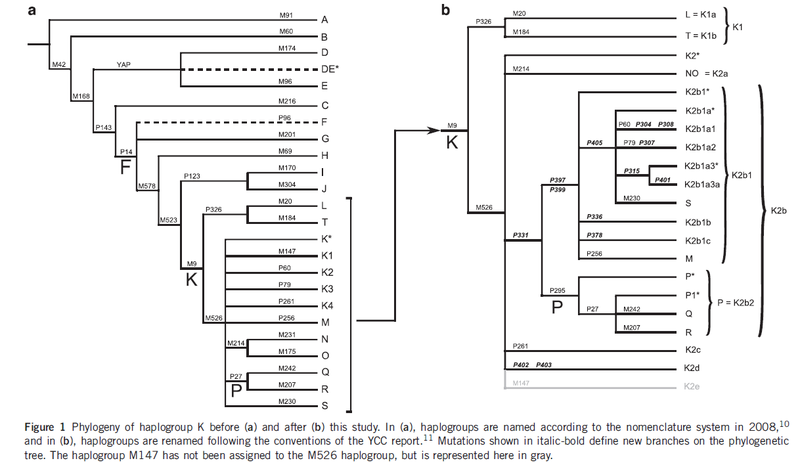 Other interesting haplogroups: 1.4% C2-M217 (no other C), 0.9% N1c1a-M178, 0.5% N1c2b-P43, 2.3% Q1a2-M346, 0.9% Q1b1, and a surprise appearance of one very rare R1b-M335. We still don't know whether this falls under R1b1 or R1b2, AFAIK. 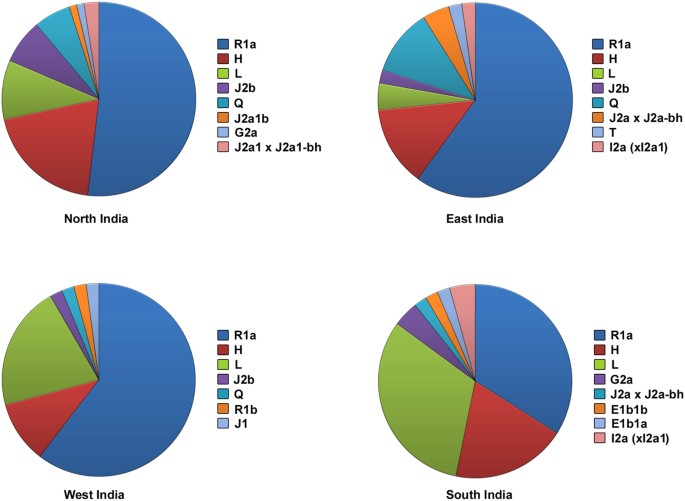 Indian haplogroups include 16% R1a1a1b2-Z93 - but also a single (0.5%) R1a1*-SRY1532(xR1a1a-M198) - yes, there is basal R1a in India. Also a good 9% H1a1-M82, plus 2% H1*-M69, 5% R2a-M124 and a single R2*-M479, 2% L1c-M357 and a single L1a-M76, and 2% J2b2. So roughly 54% Tibetan, 40% Indian, and 6% other. The sample consisted of 173 Tharu DNAs from male blood specimens collected more than 25 years ago, soon after the massive immigrations of other populations into Terai following malaria eradication, and 104 Indians. The Tharu sample was composed of three groups from different villages: two in the Chitwan district of Central Terai (Th-CI and Th-CII) and one in the Morang district of Eastern Terai (Th-E) (Figure 1). 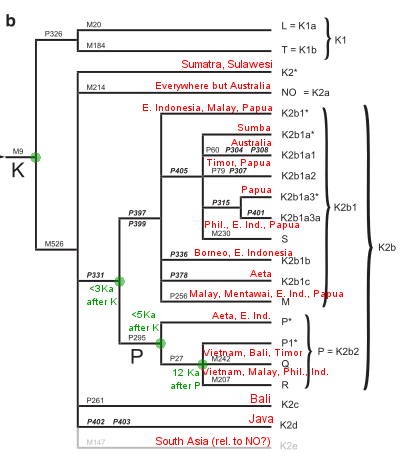 The Indian sample also was composed of three groups: Hindus from Terai (H-Te, collected in the Chitwan district), Hindus from New Delhi (H-ND) and tribals from Andhra Pradesh (T-AP). интересно что по этим данным моя U+ какого то лешего имеет пик помимо северо-западного Кавказа, в Палестине ?! я думаю мир ждет через несколько лет масса открытий которые поменяют представление заложенное дефектной стровской методикой расчета. Table S1. 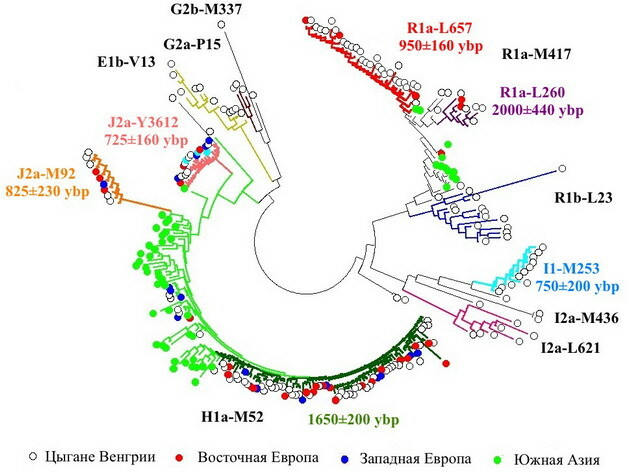 - Populations selected for the Y-chromosome analyszes. / Table S2. 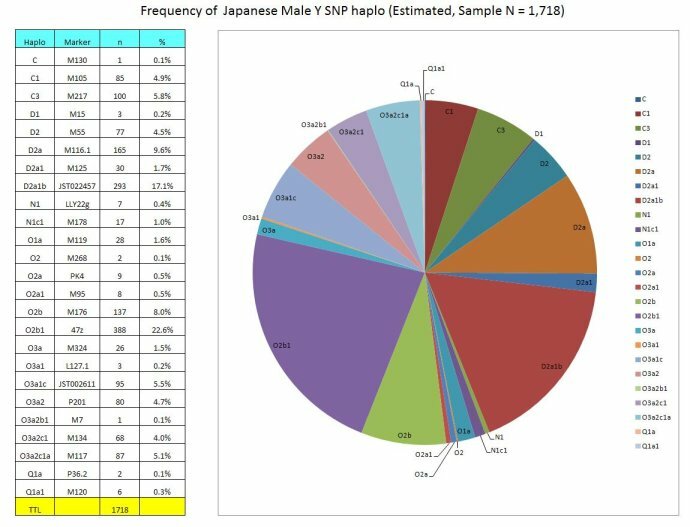 - Y-chromosome haplogroups frequencies in populations selected for the presentis study.